It may have been a long-standing tradition that the management of your community swimming pool has been largely due to the volunteer efforts of your membership. For the longest time, this may have worked. However, there are many factors that need to be considered. You may believe that you can save money by not out-sourcing the management of your pool to a professional firm. You may be surprised to see that this could be budget neutral or even see some savings. For the volunteer management, the burden of the operation falls completely on their shoulders. Is it all worth it? Let’s review some of the relevant points. When it’s time to go to the pool most of us look forward to time in the water for some recreational swimming and general relaxation. For young families, teaching your toddler to swim is a tradition. It’s the enjoyable time of the summer away from the burden of the daily grind. Not for the volunteers. 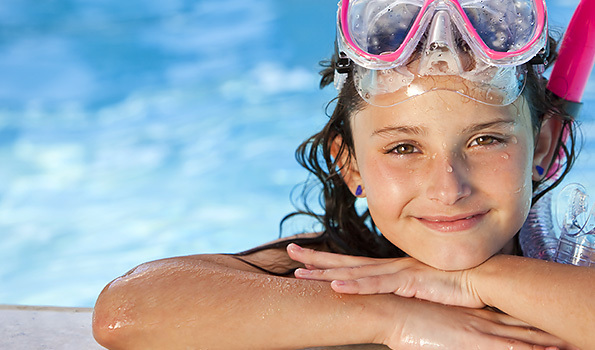 If you are running the pool, your primary roles are staffing and supervision. Making sure you have the proper number of lifeguards hired for the summer and scheduled for any given day is tough. This can be a difficult task with the resources at hand. The demographics of today’s modern lifeguards consist mostly of high school and college age students looking to make extra money during the months between school years. Without a back-up, a scheduled lifeguard that calls out or “no shows” can leave volunteers facing a dilemma. A professional pool management company will have the resources to solve this problem at a moment’s notice. “Stand bys” or “floaters”, are extra certified lifeguards that are scheduled to work, but not assigned or dispatched to a pool until a staffing problem arises. These staff members are the more effective and reliable employees with years of experience. Plus, as a temporary patch to get the pool open, the area supervisor can serve as a back-up lifeguard until the floater arrives. This ensures your pool is staffed properly daily and you are not putting your membership at risk. A professional pool management company handles all of the recruiting, training, hiring, and managing of the lifeguards. The company will also coordinate county certification for pool operator and lifeguard certificates as well. When this is completed on a large scale, checks and balances will be in place to ensure proper certification of staff with alerts for expiration dates, and that the certification of the lifeguards matches the needs at the pool. Professional aquatics managers are usually members of national organizations like APSP, The Association of Pool and Spa Professionals and The National Swimming Pool Foundation to name a few. It is the connection with industry professionals and the sharing of knowledge that keep safety requirements and adherence to ever-changing local and state health codes up to date. These are the swimming pool management professionals who will deliver the water chemistry and balancing expertise to insure that the pool is not only safe, but crystal clear as well. In the best companies, the professional supervision of the facility includes weekly inspection reports. Upper management and Safety Auditors make three to five visits per week. Performance is constantly evaluated, discussed and reviewed with the client representative. Purchase, delivery, installation, and maintenance of pool chemicals are handled directly by these professionals. Operational inspections include a pre-opening health department inspection, a closing inspection regarding repairs and compliance issues for upcoming seasons, plus routine maintenance inspections. A direct benefit is the extra attention your pool will receive from the professional aquatics manager that is trained in technical/maintenance skills as well. A portion of these costs get absorbed in the professional contractor’s management agreement with your site. When you hire a professional pool management company, you receive immediate response to safety issues and mechanical problems; and of course the spring opening and fall closing will all be taken care of at no extra cost. These pros will also complete ongoing inventory of pool equipment and bathhouse supplies, plus they’ll make repair and improvement suggestions. A professional pool management company provides insurance liability coverage. This insurance is in addition to the community’s master policy, creating a large buffer against any liability. Insurance costs typically decrease once your insurance carrier realizes you have hired a professional firm. In a larger operation, the insurance costs are shared by many pools and it is this economy of scale that allows for savings to be passed along to contracted sites. The physical and financial future of your pool depends largely on the decisions you make today. Staffing, supervision, inspections and insurance are just some of the factors that can have both a short term and long term effect on the success of your pool. A healthy bottom-line and well-maintained site will keep pool users coming through the gates for years to come.